Choosing the appropriate domain name for your website is one of the most important decisions when starting a project. Choosing the right domain name for being simple, catchy and memorable, could mean the difference between being successful or not. The domain refers to the name of the website, which is just after the triple w and before the extension, which usually is .com. It is important that the name you choose (and be available) be as short as possible, memorable, easy to pronounce and directly relevant to the brand or activity that you are headed to. 4 Are you ready to have your own website? 4.1 Contact us right now! 5 What extension to use? 6 In few words, what domain name should I get? Maybe your company is called “The Triangle Automotive Center Services.” Well, a domain that would contain your entire name, although possible, would be too long. Some acronyms are so famous that are better known than the name itself, as the FBI or the UN. These institutions actually use their initials as their domain name. But the rest of us, have not that advantage, specially when the company is new. That is why using an acronym as a domain name could make potential visitors be confused and end up going somewhere else. For example, if your company name is “Clinic of Integral Advanced Orthodontics of Florida”, you could think in get a domain name like ciaof.com. Since that is not a well-known acronym and means nothing, could be confusing for your users and, as a result, get few visits. On the other hand, an acronym-type domain name can be hard to index for search engines, making even harder its appearance in the results. Usually users memorize a page that catches their attention and write in the address bar. To make this possible, the best way is get as domain name a word or group of words that are written fluently, without dashes, dots or numbers. For example, if you sell leather jackets, the best domain name you could get would be leatherjackets.com without spaces or dashes. If that domain name is already taken, you can use your brand name, something like sandyleatherjackets.com, or something like that. Always try to differenciate your domain name from others existing as possible. Extensions are these three or more letters following the domain name. The top most common are .com for commercial brands and .org for organizations, no matter they be profitable or nonprofit. However, there are also the .net, .info, .biz, among others. Even more, some extensions indicates that a web belongs or is intended for a specifical country, such .ve for Venezuela, .uk for Britain and .br for Brazil. If your business is located in some company and serve to local clients, is recommended to use the country TLD or extension. For example, if your company is called “Kash Printing Company”, is located in Buenos Aires, and all your customers are in the same city or even country, there would be no objection for you to get kashprinting.com.ar as domain name. But if you run a international company called Ship Cargo transport, which handles shipments from several continents, is the best thing for your domain shipcargo.com so you can have a website no related to any geographical area and be as universal as possible. In few words, what domain name should I get? As summary, try to get a short domain name (one or two, maximum three words). Try that your choosen domain clearly includes the name of your company or activity. Get a domain easy to pronounce, spell and remember. Avoid acronyms, dashes, signs or numbers. And finally, choose the right extension. With all that stuff settle down, what follows is design. 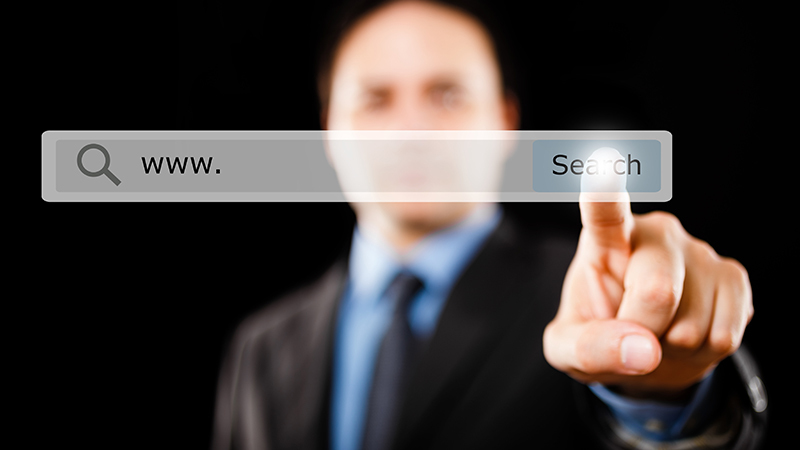 How is the domain name of your website? Still you have not selected one and you’re thinking to choose? Leave me your comments and keep in touch.